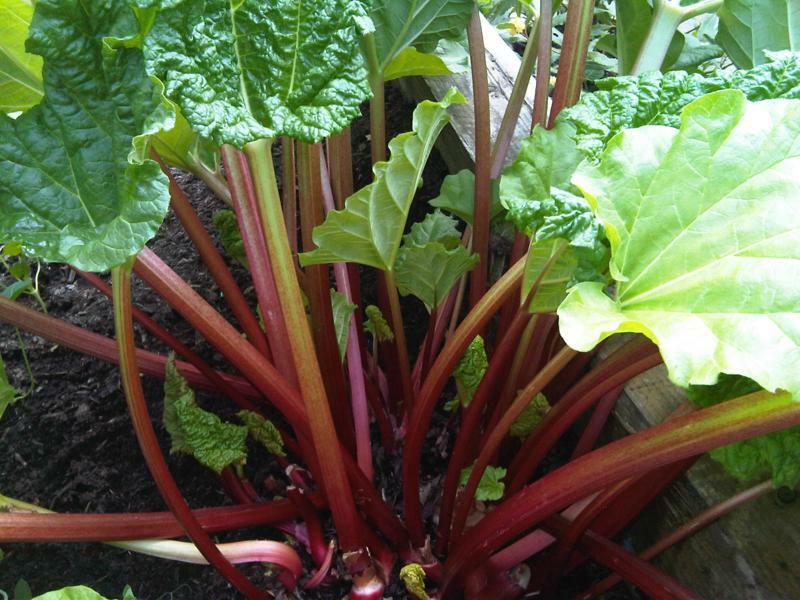 Cast an eye over any traditional allotment and you will see numerous outcrops of healthy, vigorous rhubarb plants. So well does it grow in this country that you can be forgiven for thinking that it is cultivated from native stock, but you would be wrong as it origins lie far on the other side of the world in Asia. 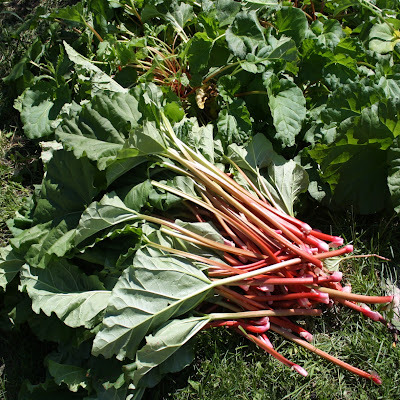 It's best to try and grow rhubarb in full sun, but it is fairly tolerant of partial shade. In fact, rhubarb can remain in the same position for up to 10 years, so be aware when choosing its position that the soil immediately surrounding the plant cannot be dug. Luckily, Rhubarb is tolerant of most soil conditions, but will grow best in a neutral soil which has been dug to a depth of 2 ft or more. 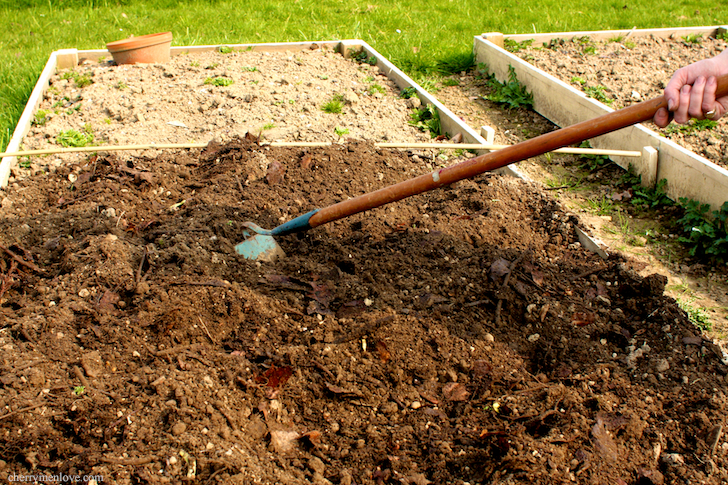 Incorporate as much organic matter as possible during the digging because it must last the life of the plant. Remember that rhubarb will not tolerate soil disturbance once established. The site should be prepared about 4 weeks in advance of planting in order to give it time to settle. Rhubarb can be grown either from seed or as plants purchased from your garden centre. The problem with rhubarb grown from seed is that it takes a year longer to produce stalks and even then, the plants are not guaranteed to be true to type. This can make it a bit of a gamble which will take three years before you know if you have succeeded or failed. Rhubarb plants are available all year round at some garden centres, although by far the best time to plant rhubarb is late autumn to early winter - December is a good month. 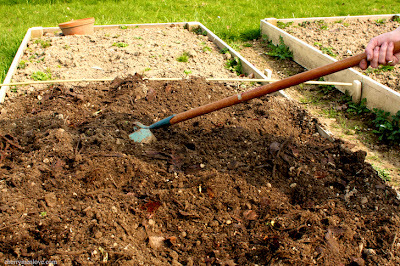 Prepare the soil as described previously, and dig a hole a little bit wider than the plant. The depth should be such that the top of the plant is 1 inch below the soil surface. Fill in around the plant with soil, gently firming it down to ensure no air pockets remain. Water well if the conditions are dry. Spread a mulch - garden compost or other well-rotted organic material - around the plants, but not directly above where the crown will emerge in a month or so. Three plants should be sufficient to meet most needs - the spacing between plants should be about 2 ft 6 in for varieties such as Cawood Delight, Victorian, Ruby and Canada Red. However, some varieties such as 'The Sutton' will need a wider spacing of about 4ft. Rhubarb require very little care, but if you give them that care they will produce much finer stalks than neglected plants. Every year after the leaves have died down, spread a new layer of garden compost or other well-rotted organic material around (but not touching the plants. 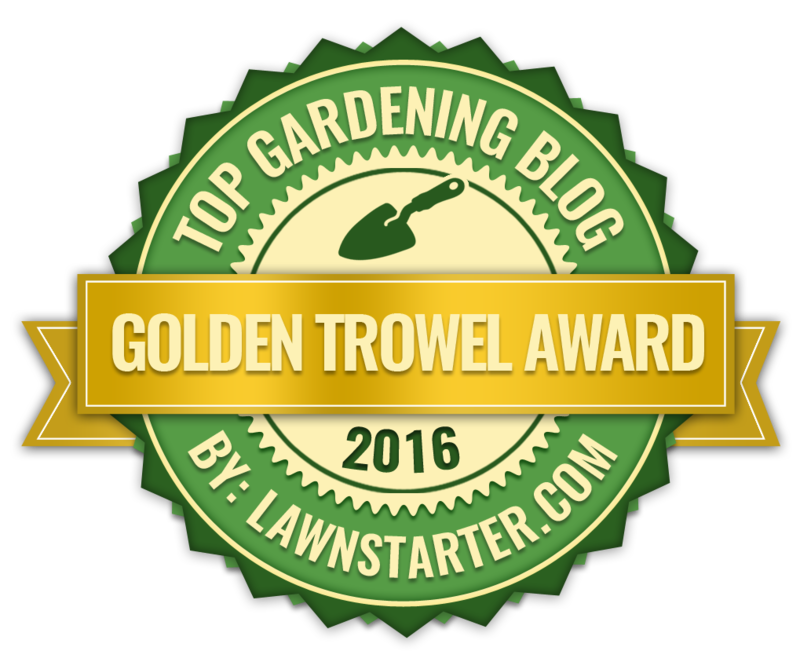 This will conserve water and prevent weeds. In warm, dry periods give the plants a good watering, although this should only be required occasionally. In February , sprinkle a handful of general fertiliser around the plants. Remove any weeds as they appear. 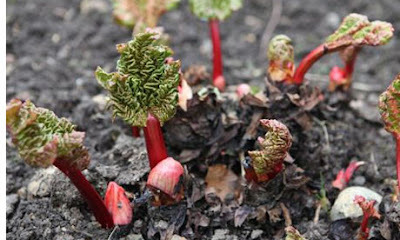 The only other attention required is to cut off flower heads which may appear in early spring as the new rhubarb stalks emerge. Do this as soon as possible - if the flower head is left to grow and set seed, the plant will never fully recover to good strength. Tempting though it may be, do not pull any stems during the first season - this would seriously weaken the plant. Let the plant grow during the first year and establish a good healthy root system. During the second season, pull only a few stems, ensuring that you only pull two per plant at any one time. Make sure that five healthy stems always remain. WHEN DO YOU PICK RHUBARB? 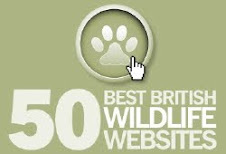 WHAT ANIMAL IS SID FROM THE FILM ICE AGE?